Central Ac Not Cool Enough To Turn Off On Hot Days! We moved in our newly built home in Feb 2003. The house is 4100 sq ft and we had a builder installed Goodman AC unit. The central ac unit worked fine until the summer of 2008. It started running continuously when the temperature reached 90+. It worked fine at night when the temp dropped but during the day the thermostat remains on 80 degrees while the central air is running. After hundreds of $ and numerous "AC repair technicians" my problem is still not fixed even though I bought a bigger outdoor and indoor unit last summer. The central ac unit is a Ducane and the Model # is 2AC13148P-2A and the Serial # is 4609E48972. I still have the same problem. There is no leak in the attic duct system, there is enough Freon in the ac unit, the indoor coils are clean, the dampers have been turned in every direction and there is no leak in the outdoor unit. It is cool in the basement but the second level is bearable and the upstairs is hot. Have you ever heard of this and what can I do to fix it. I need a repair person to FIX THE PROBLEM and not charge me $100 to come out and not fix it!!! Comments for Central Ac Not Cool Enough To Turn Off On Hot Days! The people should try and make their life peaceful and happy because a lot of things can be handled homework help australia with the help of peace and happiness. Without the peace the people cannot able to live happily in their life. Tons are calculated in about this math form in basics. 1Ton for every 600sf. So in your case you need to have another 3Ton unit installed, 4100 divided into 600 would put you at 6.83tonage which would be a two spit system. One that would do basement and first floor. Then the 3Ton would take care of hall way stairway and all of upstairs rooms and tye into some duct on a room on first floor if need be. This shouldn't cost more than around 1700. Thats if you can find a good ac guy that might so happen to have an extra unit laying around. These guys have used units don't be fooled. just if you get one make sure you get a one year warrenty from them. I have the same problem with my AC and I live in a small apartment in Richmond, VA. At night the AC works great but during the day when it's 100 degress the thermostat stays at 79 and won't go below. It's really starting to kill my pocket and the landlord refuses to do anything about it. I think your unit is big enough. I agree with the comments that a 4100 sf house particularly 2 story needs two units. My house in one story with 2000 sf and has a 4 ton so what does that tell you? I don't know what the sales rep went over with you before installing the new equipment you mentioned but they should have gone over the square footage and it being well really a 3 story if you are indeed cooling your basement. When your house was newly built was the basement being cooled at that point? If you finished out the basement at some point with having the same 4 ton unit that is where you started loosing power of only a 4 ton unit trying to cool 3 levels vs 2 prior. This is elementary but of course the unit needs the area free and clear of all vegetation. And MUST be cleaned with an acid wash solution ac techs use on the outside fins. The difference after a wash is remarkable!! Plus cleaning the evaporator is curtial. I would think all of this has been addressed with what you have done but unless you saw them doing the cleaning you don't know for sure. Basis from your information. 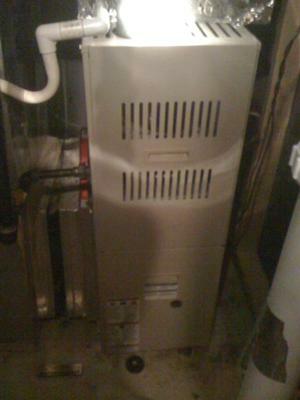 It sounds like this Ducane central ac unit is too small for your house. You house is 3 level and its 4100 sq ft house, right? You have one central air conditioner unit that is trying to cool the entire house and the central air conditioner is only 4 ton. Could it be that the R-22 refrigerant central ac unit is too small for the 3 level houses? I didn?t do the load calculation and I could be wrong. I think it best to have two separate small units cooling this house. This is just my opinion, so don?t take as fact. 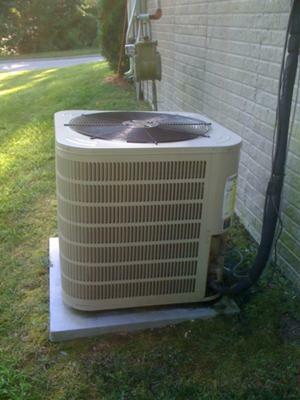 Your Ducane central air conditioner was made in May 2009 and you probably had contractor installed that years. You still could complaint to that company.